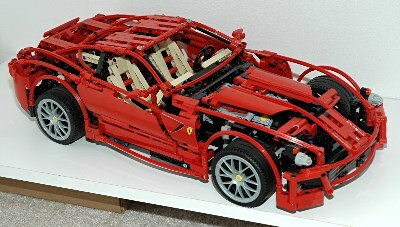 Let's be clear: Racers sets are not Technic sets. 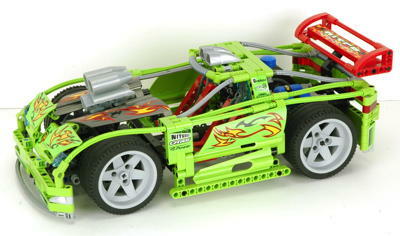 Racers is a line of sets that began in 2001 and continued forward from there. 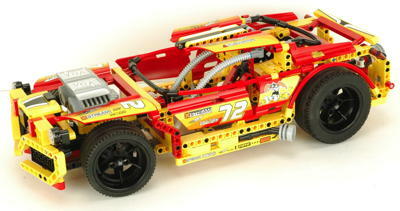 These sets, not surprisingly, have a racing theme and tend to be play oriented sets targeted toward younger builders. 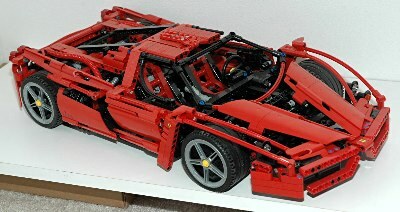 The sets tend to build with studded LEGO® System parts but some of the models, especially in the early years (2002-2007), were made entirely of Technic parts. 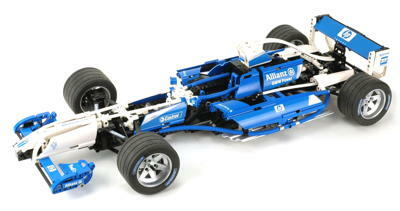 The very first of these, the 8461 Williams F1 Racer, is nearly identical to the 8458 Silver Champion of 2 years before and therefore can be pretty safely categorized as a Technic set even though it said Racers on the box. 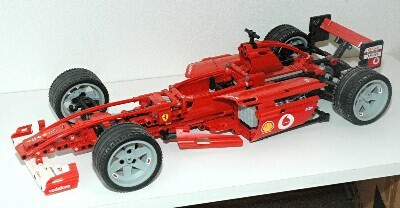 The 8674 Ferrari F1 Racer is similarly full featured, but the other models shown are much less so. I chose the 8 Racers models shown here because I thought they fit in well with the Technic theme and are made of Technic parts, but they generally have much less functionality than a bespoke Technic set. Some have nothing more than steering. If one were to look through the entire Racers line one would find many other sets which use partially or mostly Technic parts, but I chose these 8 as a representative list of those that blur the line between Technic and Racers. Most of these sets make heavy use of stickers for their final look, but unfortunately the quality of these stickers degrades heavily over time leaving only a sticky mess. 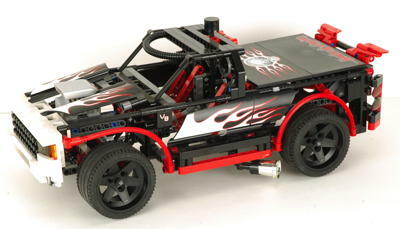 These sets all use a combination of curved panels and flexible axles to achieve their streamlined look. Many of these part exist in unusual colors in these sets and are available nowhere else.